Apply in the morning and at night. Apply to clean skin. Massage a small amount of gel on blemish prone areas and spots. Follow with moisturiser. 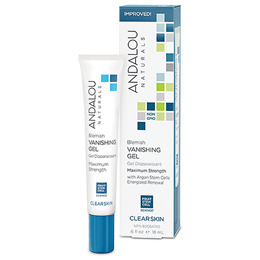 Below are reviews of Andalou Blemish Vanishing Gel - 18ml by bodykind customers. If you have tried this product we'd love to hear what you think so please leave a review.